Holocaust Denial - Soviet-Empire.com U.S.S.R.
Should Holocaust Denial be illegal? Everyone is prone to abuse. Even if mitigated. Israel also has a fair share of abuses. But Israel is ruled by law unlike other theocratic states. So no one in his right mind would lock somebody up inside a furnace and burn him. He will be indicted and convicted under the law. Monarchies like Saudi Arabia are also ruled by law. Rapists and murderers are beheaded. I know of one theocratic state in the past whose leader murdered and tortured millions, and was not convicted nor indicted. This state hates Israel. it shouldn't be illegal as it may be the truth. The jews have been using this as leverage forever and the very last thing they will allow is for anyone to look into it. It is even illegal to do research on it in some countries. Why? Because they might discover that jews were not systematically gassed by zyklon B, fooled into thinking they were being "de-loused"? Millions of jews died in WW2 due to the camps themselves, the overcrowded conditions, disease, starvation, the harsh winters. The full story, all the details, we do not know and cannot know because it is illegal to find out. "The media said so" is not a sufficient reason to conclude that something is true. It is legal to find out in most of the world, including the United States. There are no federal hate speech laws, and no state ones cover Holocaust denial. Millions of Jews, Communists, Romany, gay people, and others, died in the camps due to a systematic campaign of extermination. Himmler's speech at Poznan makes that pretty clear, as well as the physical evidence showing what looks an awful lot like industrial mass murder. i think you're being a bit naive here. Do you think that any academic in the US could do research on this issue? If he did it would need to be exactly according to the narrative of the jewish lobbies. Anyone attempting to do otherwise would be crucified(they are good at that right?). It is naive to say that no such law exists on a federal or state level. The law isn't the problem in the US, it's the thug jewish agencies like SPLC and the ADL, and well meaning people who just want to let sleeping dogs lie. They would get shouted down before they could even present their findings. Also note, access to archeological sites in europe is forbidden so forget that avenue of research. You're digging a hole for yourself here. There are literally dozens of topics to dive into on SE, so why not diversify? what do you mean I am digging a hole for myself? I mean that trolling the site with spurious Holocaust denial theories is a great way to get carded and then banned for further offenses. There are thousands of documents that prove that the Holocaust was a deliberately orchestrated campaign of genocide. Communists perished by the millions in Nazi death camps. However, the main point of the Final Solution was to rid the world of "International Jewry." So it's not a great idea to come on to this site and question something we all regard as proven conclusively. 1)well the zyklon B cans were used to for disinfecting so no on denies that. Did I deny that? 2) So far you really just done nothing but hurl insults, because you have not attempted to prove anything at all. 3) the theory that 6 million jews were killed with Zyklon B gas in a systematic mass extermination program is very far from proved, and the vehemence of your assertion of the theory doesn't count as evidence. 4) By "proved" what you mean is "accepted" by the mass media as the truth. 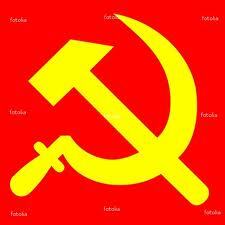 The mass media teaches that the fall of the USSR is proof that socialism and marxism generally is false. Do you accept that conclusion? The mass media was also convinced beyond any discussion that there were WMD in Iraq. We could go on and on here. What is true, is that this is a hot button issue and you don't want it discussed on your forum. You don't want your forum sullied by such unacceptable theories. 5)Here is how truth is arrived at: by a major premise, a minor premise, and a conclusion. That is called a syllogism. If the premises are correct and the logic is valid, then the conclusion must be correct. If that method of proceeding is not permitted here, then rationality is not permitted here. If that is the case, then do what you have to do, because I will never abandon rationality, not for you, not for anyone. I haven't hurled any insults at you. I do have a very strong suspicion that you have been on this site before and were banned from it. If you agree that millions of Jews were among the victims of a systematic racial and political genocide whose goal was to "win territory in the East for the German people" (quoting someone here), why quibble over the exact method used? But i have been warned not to discuss this unless I say what Comrade Gulper et al. want to hear. Go ahead and say what you have to say. I'm not the one who has the power to card or ban you. I'm just letting you know that you can't issue inflammatory statements about the Holocaust with impunity. Nazi's have been dumb ever since the ideology was founded, denying the holocaust is just retarded. Yes it should be illegal. No. -- I believe the holocaust absolutely did happen and I believe many innocent Jews died, but I do question the death toll and so forth. So with that being said we as humans should have the right to hold an opinion as long as that opinion don't hurt others in a physical way if that makes sense. Why do you question the death toll? Well since this 5 year old post was dug up.. Yes Holocaust denial should be illegal. This is a no brainer. We don't exist in a vacuum. People who tend to deny (or lessen the extent of) the Holocaust are usually Nazis, fascists or reactionaries. I see zero reason to support them in their endeavors. What I think is important to add is what soviet78 stated on page 1. The Nazi genocidal war machine attacked and destroyed many communities. The Holocaust happened and anti-Semitism must be combated but it is important to note that Jewish people were not the only communities to suffer. Slavs, disabled, religious minorities, trade unionists, POWs, Roma, gays, leftists, ect. all suffered under Nazi genocide. It's ironic that those who deny the Holocaust are usually the ones who would most have wanted it to happen. I don't believe Holocaust denial should be illegal though. From what I understand, there are two camps, one openly praises it and thinks that it's great, the other, bigger one, understands that the public at large considers such people monsters and therefore works to rehabilitate nazism and defame people who were victims of the Holocaust through denial that it happened. However, I am not sure if there is an ideological difference between the two, it seems like it's generally the same people taking one position or the other depending on where they are physically and emotionally that day. I've been rather ambivalent on the subject since forever, but for the sake of conversation I'll give my two cents. I personally would rather not live in a world where simply saying something could land you in jail. That to me is something that borders on a 'thought-crime'. The way I see it Holocaust deniers should be dealt with rather successfully with simple enough arguments in order to render their opinions completely illegitimate in much the same way that simple arguments render the opinions of the flat-earth society illegitimate. Furthermore, by making such a big deal of Holocaust denying by criminalizing it, we give people who should otherwise be scorned and ridiculed as marginalized crazies too much credibility by actually taking them seriously. Look at what happened to David Irving who brought his Holocaust denying case to court. A man who probably could have been recognized as a historian on Nazi Germany was forever discredited with simple facts and arguments; and the same should suffice with all the other Holocaust denying lunatics and anti-semites. I have enough faith in society to put such people in their place without having to lock them up in jail. Some of my ancestors fell victim to the Nazi yoke in occupied Ukraine. Does that mean that I'd rather have the denying of Nazi crimes perpetrated in the USSR made illegal? Definitely not. Many a crime has been perpetrated in human history on par with the Holocaust, one being the trading of African slaves. Yet exculpating the crimes of white colonialists is not a crime and neither should denying the Holocaust be. On one final note I'd like to say that singling out the crimes carried out by the Nazis upon the Jews in such a fashion has been exploited by opportunists both Jewish and gentile alike; be it in search of material profit or to excuse Israeli crimes in the occupied Palestinian territories as is clearly stated in Norman Finkelstein's book 'The Holocaust Industry'. Mind you this is a book that has been praised by Raul Hilberg, the world's preeminent scholar of the Holocaust who knew the entire Nuremberg proceedings by heart. In conclusion I fail to see how criminalizing Holocaust denying would serve the interests of communists, and more so how it has served the interests of working class Jews. Just because Jewish and gentile fascists use the Holocaust to justify genocide does not mean we should allow other fascists to have free room to spread Holocaust denial to young, impressionable, and most importantly disaffected, people. And clearly well reasoned and obviously factual arguments against Holocaust denial have not stopped a single committed anti-Semite from continuing to propagate the view. No amount of mainstream destruction of their arguments stops them from getting to the audiences that will eat it up. I don't support any extension of the police state obviously, for my own subversive ends, but let's be completely honest: if they want to turn the law against communists they dont need an angle like this. They simply ban us when we become a threat. My original vote was no btw.